Revolvers are great. A quality revolver which is properly cleaned and maintained can stand ready for service forever practically, making it the ultimate nightstand gun or car gun where it is not likely to be taken out frequently, or necessitate cycling magazines as semi-automatics do. 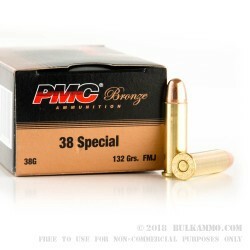 If you've got a 38 special revolver with an appetite - this 38 special ammo from PMC is for you. As the adage goes, though, there are always tradeoffs for everything. Revolvers are unparalleled when it comes to reliability but the tradeoffs come in the form of limited capacity and difficulty to master. It takes considerable practice with a double-action revolver to be as proficient as with a semi-automatic, and this is especially true when using the short nosed “snubby” revolvers which trade heft for overall size but at the cost of significantly reduced accuracy and increased recoil. The only way to master the revolver, especially small frame revolvers, is practice, practice, and more practice. The misguided philosophy that they’re only going to be used at short range so practice isn’t important is flatly wrong; if the threat is that close (which is statistically is), you’d better be certain to hit your target. 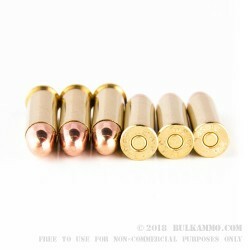 If any of your wheelguns fire .38 Special, buying up your target ammo in 1,000 bulk packs is the economical way to go so don’t miss out of this one. 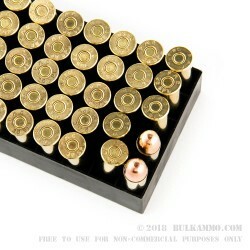 Great customer service, great ammo! So far so great. While my wife hasn't used up all of her ammo she has not had a single problem.